CSIR research and development in sensor science and technology focuses on the custom development of sensors and sensing systems based on skills in two core technology areas, namely ultrasonics and electro-optics. Working with private and public sector player of all sizes, the CSIR has brought numerous new sensor innovations to market, having developed a custom solution where no market-ready product existed. In collaboration with Eskom, a range of inspection camera systems were developed to diagnose faults on electrical power lines. The technology was commercialised to the high-tech start up Uvirco and resulted in a thriving export business in which cameras have been sold to over 40 countries around the world. The CoroCAMTM range of inspection systems produce images in a combination of wavelength bands (visible, infra-red and ultra-violet) to enable identification of the presence and location of power line faults. More recently, in collaboration with the South African Technology Innovation Agency, the team has developed a next-generation camera that, in a world-first achievement, is able to quantify the infra-red and ultra-violet energy from such faults so that the severity of the fault can be assessed and used to guide power line maintenance activities. In collaboration with Transnet Freight Rail and Armscor’s Institute for Maritime Technology, a world-first ultrasonic inspection system was developed that operates in remote areas, monitoring heavy freight railway lines for breakages. The Ultrasonic Broken Rail Detection (UBRD) system uses ultrasound waves that are guided within the railway lines over distances of around 1 to 2 km to detect breaks and wirelessly communicate alerts to a control centre. 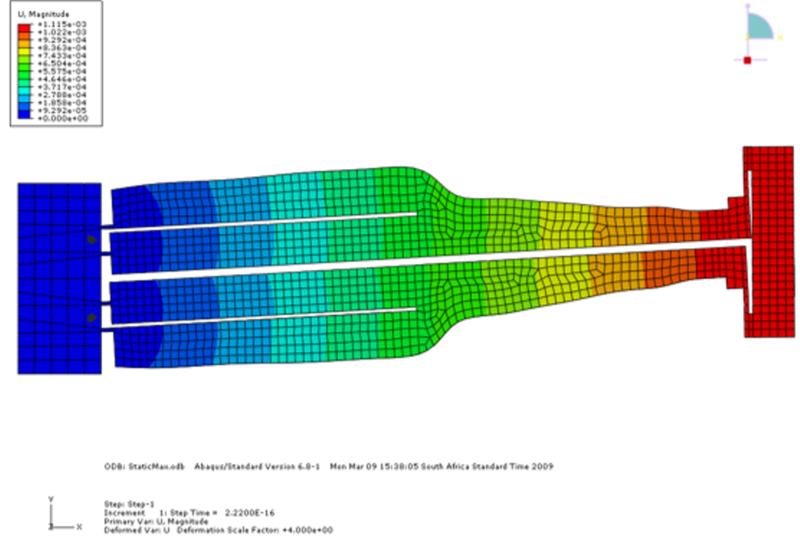 The CSIR’s skills are in the modelling of the guided waves as well as the development of ultrasonic transducers to excite them and the signal processing algorithms to process the signals. Current research is aiming to drive the technology to the next level and be able to detect and classify defects in the rail prior to them developing into full breaks. Achieving this will result in a paradigm shift from rail-break detection to rail-break prevention. The UBRD system has been rolled out on the entire 860 km long Sishen-Saldanha iron ore freight line in South Africa and is actively preventing derailments 24/7. 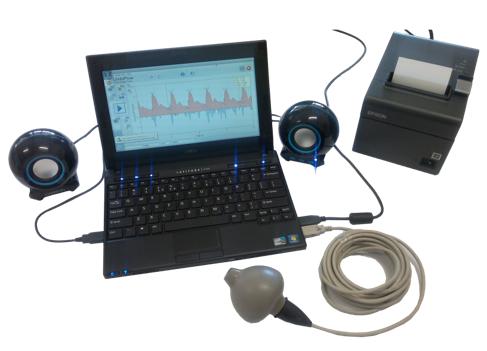 In collaboration with the South African Medical Research Council, a low-cost and easy-to-use Doppler ultrasound system was developed for use by registered nurses at primary health care clinics in low and middle income countries. The UmbiflowTM system measures the velocity of the blood flowing through the umbilical artery between the mother and her fetus and is able to provide a recommendation for referral in cases where a fetus is potentially at risk of being small for gestational age. 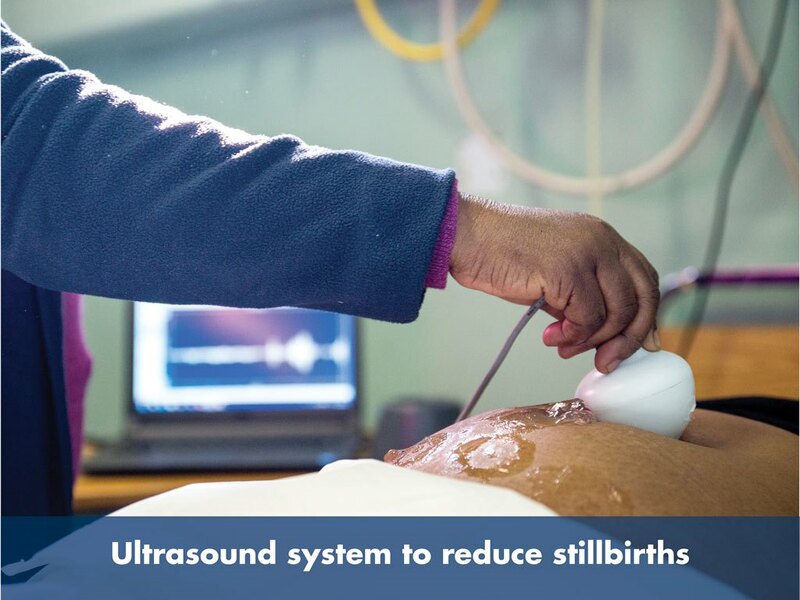 In a clinical study conducted in South Africa’s Tshwane District on 2 800 third-trimester pregnant mothers, the stillbirth rate was decreased through use of the technology by approximately 50%, a significant clinical result. UmbiflowTM is currently being lined up for clinical tests in a range of low and middle income countries to check prevalence and impact and is presently being tested in primary health care clinics in all nine of South Africa’s provinces. The CSIR’s skills are in the development of the high-frequency ultrasound probe, the analogue and digital electronic components used to interface the transducer to a computer via a USB port, development of the user interface software as well as the signal processing aspects and remote communication of the data to a central server. The CSIR conducts its medical device development work under an ISO 13485 medical quality system that lends itself to CE and FDA approvals. In collaboration with the South African Navy and Armscor, the CSIR has developed a range of wet-end sonar transducers and arrays for specialised underwater applications. 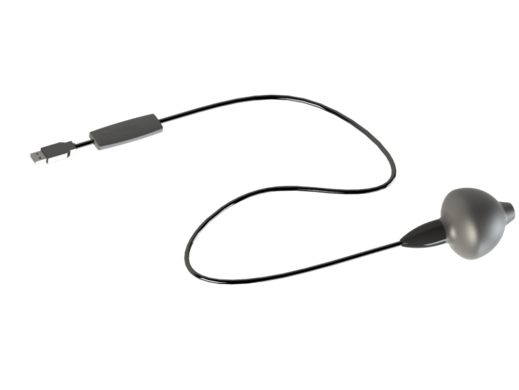 This includes all stages, from research on piezoelectric composite materials and broadband ultrasonic transducers, through development of custom acoustic modules from the kHz to 100’s of kHz range and development of the interface transmit/receive electronics and computer-based user interface and signal-processing software. Projects are undertaken within a quality management system that is compliant to ISO 9001. To facilitate the transition of research and development outputs to market/field use, the team has established a small-volume manufacturing capability that ensures that full configuration management is performed and manufacturing procedures can be tested and finalised prior to technology transfer. This capability is also used to support the fleet operations of the South African Navy by manufacturing the wet-end sonars under license of the foreign original equipment manufacturers (Thales Underwater Systems and Atlas Elektronik). Recent research projects have seen the development of technology for high resolution (mm-scale) 3D imaging, high bandwidth/data-rate underwater data communications and synthetic array sonar for eventual application on an underwater vehicle. Through the use of topology optimisation algorithms, the team has been able to develop specialised solid state actuators that use commercially sourced multi-layer piezoelectric stacks. Solid-state actuators aim to provide finely controlled micro-motion in a small package with robust construction. One example is a micro-scanner actuator developed for an imaging camera that enables a fourfold increase in the image resolution by scanning the image across the two-dimensional CCD detector in sync with the video readout frequency. Other examples include tilt actuators for optical use and an active beam design that has been the building block for experimental devices, including a linear drive piezoelectric inchwork motor, an x-y table and a micro-positioning optical aligner.